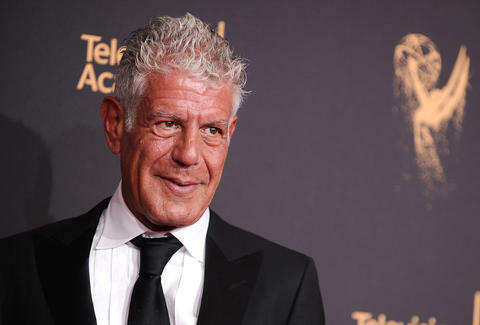 While Anthony Bourdain's cultural escapades often see him enter some pretty frightening territory as the host of CNN's Parts Unknown, the celebrity chef usually manages to escape all potentially grim situations unscathed. But the professional globetrotter, who is no stranger to courting controversy and advancing his unvarnished opinion on just about everything, recently found himself in a new realm this week when he got banned from the entire country of Azerbaijan. Bourdain and his crew unwittingly violated an Azerbaijani law by traveling to the Nagorno-Karabakh region of Armenia, which has been a hotbed of regional and ethnic conflict between the two countries since 1988, according to a report by The Washington Post. Nagorno-Karabakh's legislators voted to join Armenia after the collapse of the Soviet empire, promulgating a war with Azerbaijan in 1992. Eventually, Russia brokered a cease-fire to help end the conflict, but the fallout from the ugly war has significantly marred relations between the countries, with occasional violence flaring up along the border earlier this year. According to the Council on Foreign Relations: "25,000 lives were lost on both sides during the separatist struggle," and close to one million Azeri refugees remain in the region. Presently, Armenia occupies one-seventh of Azerbaijani land. The Azerbaijani government makes visiting Nagorno-Karabakh a criminal offense, and maintains a blacklist of 700 people who are now banned from entering Azeri soil after traveling there. Now, Bourdain has found himself swept up in the diplomatic mess, with officials literally casting him as "persona non-grata" in the small Caucas state. Foreign Ministry spokesman Hikmet Hajiyev told reporters that Bourdain "has been put onto the persona non grata list for his disrespect of Azerbaijan's territorial integrity and sovereignty." He added: "Filming a food show on Azerbaijan's occupied territory is an insult to one million Azerbaijani refugees who were forcefully expelled from their homes." Bourdain managed to do this, mind you, without even setting foot in Azerbaijan. Leaving foreign governments incensed isn't always Bourdain's intention -- and it clearly wasn't here -- but it's safe to say you probably won't find Parts Unknown filming in Azerbaijan anytime soon. And that's to say nothing about North Korea.